> Movie Posters>Film Posters>French posters>CONFORMIST French 15x21 '71 Bernardo Bertolucci's Il Conformista, Trintignant, Iaia art! 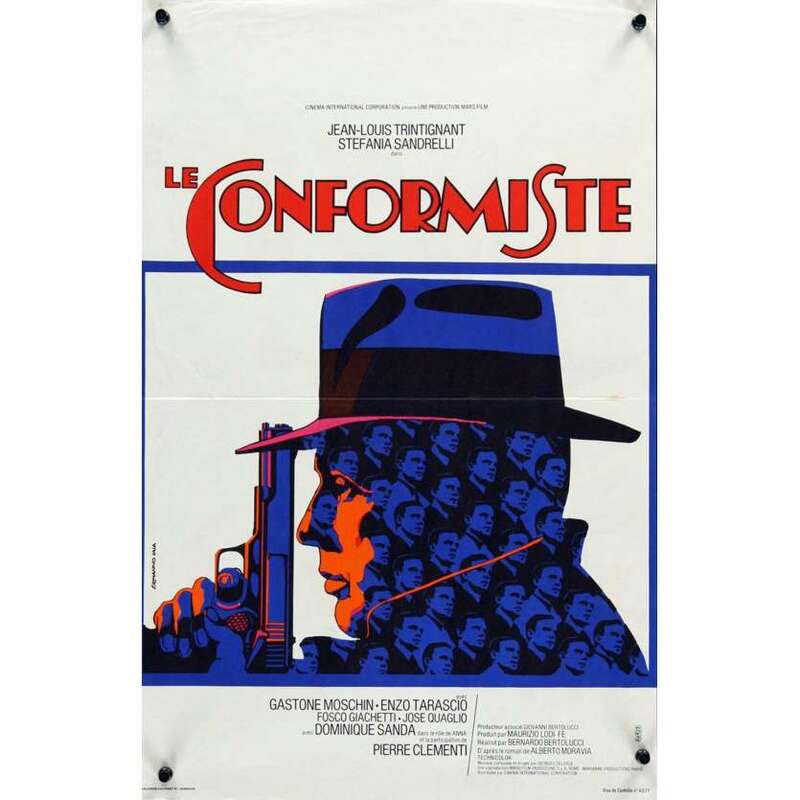 CONFORMIST French 15x21 '71 Bernardo Bertolucci's Il Conformista, Trintignant, Iaia art! The Conformist (Italian: Il conformista) is a 1970 political drama film directed by Bernardo Bertolucci. The screenplay was written by Bertolucci based on the 1951 novel The Conformist by Alberto Moravia. The film features Jean-Louis Trintignant and Stefania Sandrelli, among others. The film was a co-production of Italian, French, and West German film companies. Bertolucci makes use of the 1930s art and decor associated with the Fascist mentality and era: the middle-class drawing rooms and the huge halls of the ruling elite.